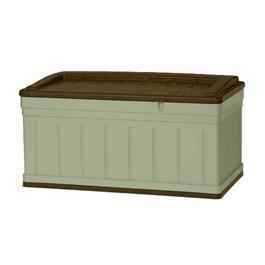 For all your outdoor storage needs, this jumbo chest is a must. 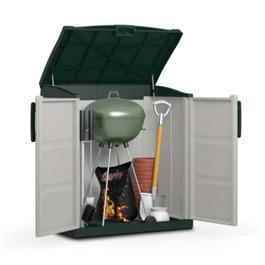 Ideal for the garden, patio or garage, it's weatherproof (not waterproof) and lockable, and features a tough durable floor, strong hinged lid that keeps contents safe, and two integral wheels for easy relocation. 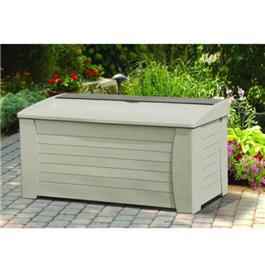 Made from heavy duty UV stabilised polypropylene. Supplied flat packed for home assembly (no tools required). 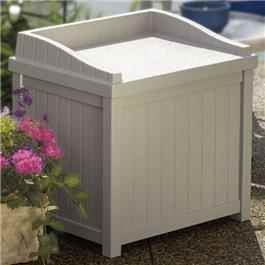 Size: 141cm (4'7") x 61cm (2') x 69cm (2'3") high. 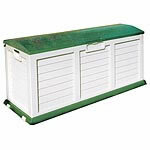 Our community of gardeners have a wealth of experience, beautiful garden and great photos, discover more on the following pages: storage ideas.